Sardines: Fish Food or People Food? Seen every year along the east coast of South Africa, the sardine run is one of the greatest examples of migration in the world, but is under threat. The most notable difference between this and other migrations is that you can participate. So get on that wet suit, don your mask, grab your snorkel and join in! Why do the sardines migrate? Sardines lay their eggs on the Agulhas Bank, a broad shallow bank that stretches from Cape Point to Port Alfred, 700km long and 250km broad in places. The Agulhas current sweeps the eggs down towards Cape Point and there the Benguela current carries it up the west coast where the eggs hatch and the baby fry start to feed and grow. The sardines feed on the nutrients carried up from the Antarctic by the Benguela current. After two to three years, the adult sardines move back around Cape Point to lay their eggs on the Agulhas Bank and start the cycle again. Whether the run takes place prior or post to egg laying is unclear. The sardine run is the result of a weather phenomenon peculiar to the Cape. During summer, the prevailing strong south-easterly winds blow the Benguela up the west coast and help generate the upwellings that feed the sardines. In May, the wind swings round and becomes north-westerly, driving a section of the Benguela up the east coast. It is this cool stream, full of nutrients, which the sardines follow. On a few occasions, when this break away current does not occur, there is no sardine run. Anchovies also spawn along the Agulhas bank and mature up the west coast. The number of sardines and anchovies that mature each year can vary enormously. The reasons behind these fluctuations are not well understood. But what has this has got to do with the ‘help save the sardine run’ campaign? This great migration is under threat. The warning signs are all around. The first sign of trouble came from the plunging numbers of Penguins, Gannets and other sea birds. According to Dr Ross, the birds are dying of starvation. ‘Starving’, you ask? One reason for this is over fishing around the islands where the birds nest. Possibly the biggest problem is the method for predicting and granting fishing quotas. When the populations are healthy the quotas allocated are sustainable, but when the population of sardines and anchovies are depressed, over fishing takes place. Over fishing happens because population predication is not well understood, statistical data are out of date, (the last data published by the Department of the Environment, which manages sardine and anchovy stocks on tonnage caught, was in 2003!) and little new research is being conducted. Nature is a balanced web of prey and predators. Removing a strand from the web often results in unforeseen consequences. If the sea birds are dying of starvation, are we going to see the numbers of dolphins, sharks, and game-fish plunging? We just don’t know! Why is the sardine run worth preserving? Eco-tourism is the biggest employer in South Africa. It is the one economic sector that continues to grow, and could account for >17% of GDP. By comparison, mining is only 5% and commercial fishing is less than 0.5% of GDP. Jobs created in eco-tourism are sustainable and give dignity to the job holder. A miner, by contrast, is stuck kilometres underground in hot, dirty, dangerous conditions miles away from family. In preserving the sardines and anchovies and promoting marine eco-tourism, we can bring prosperity to rural communities along the west and east coasts of South Africa, and protect and expand the existing marine eco-tourism businesses. HOW can we preserve the run? Through the power of social networking, we can make it happen! 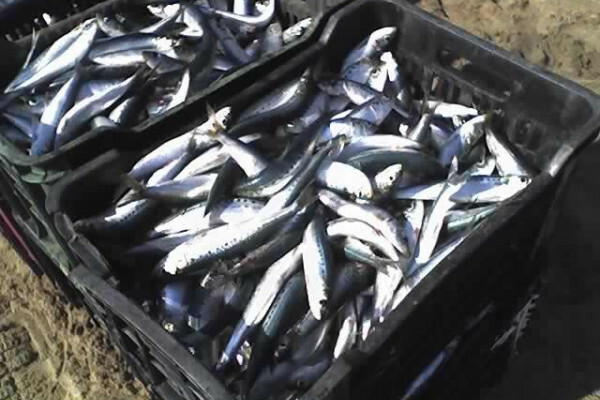 Preserve the wild stocks by farming anchovies and sardines. Create marine protected areas around the islands on which Penguins and sea birds have breeding colonies. Help the fisherman of the west and east coasts to become part of marine eco-tourism by using their skills, knowledge and equipment. Market existing marine eco-tourism up the west and east coasts of South Africa. We need to make the SARDINE RUN a ‘must event’ on everyone’s ‘Bucket List’. J.H.M. David, P. Cury, R.J.M. Crawford, R.M. Randall, L.G. Underhill, M.A. Meyer, Assessing conservation priorities in the Benguela ecosystem, South Africa: analysing predation by seals on threatened seabirds, Biological Conservation 114 (2003) 289–292. Dr Ross Sardines and Penguins. Private communication. industry to the annualised percentage change in seasonally adjusted real GDP, 23 November 2010: 11:30 a.m, 23 November 2010: 11:30 a.m.
http://news.discovery.com/animals/endangered-african-penguin-population.html 2011/03/05, Endangered African Penguins Rebound in No-Fishing Zone. Manuellll Barange, Janet C Coetzee and Nandipha M Twatwab, Strategies of space occupation by anchovy and sardine in the southern Benguela: the role of stock size and intra-species competition, ICES Journal of Marine Science, Volume 62, Issue 4, Pp 645-654. Fishery and Aquaculture Statistics, FAO year book, 2008, UN Food and Agriculture Organisation, 2010.